The idea is just by taking a look, you can cook. Lasagna? Just layer the cheese, noodles, sauce and meat to make the dish. Panzanella? Just follow the charted steps. 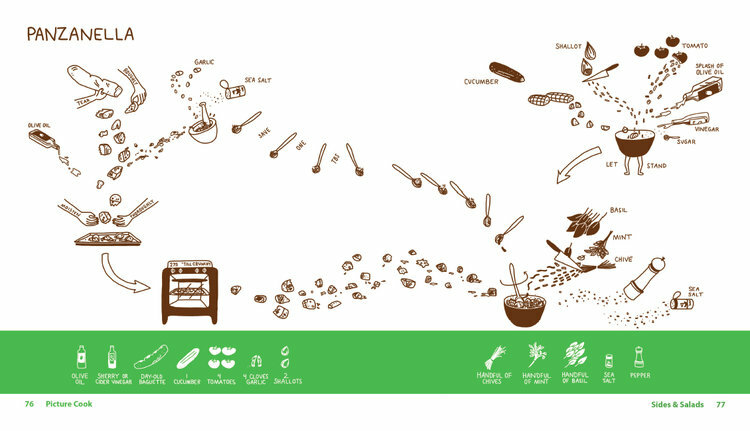 It’s infographic meets delish dish. 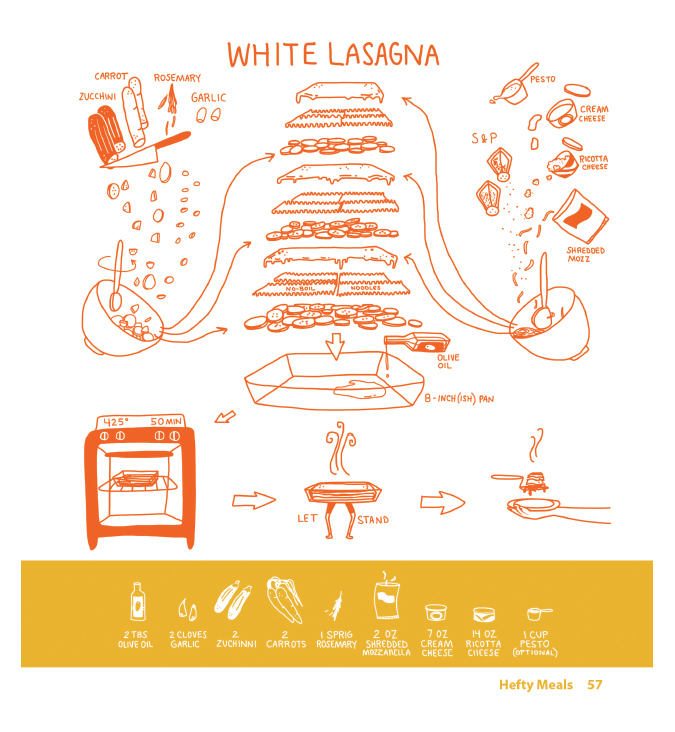 Tags: chili, cook, design, food, illustration, infographic, recipe. Bookmark the permalink.